Joe Biden celebrated his 74th birthday on Sunday, with many social media users around the globe taking to Twitter to send him their wishes. The most noted birthday message, however, came from Barack Obama (hint: not as awesome as Joe's friendship bracelet, but still pretty cool). If you're aiming for friendship goals, it's hard to top a friendship bracelet with 'Joe', 'Barack' AND a pizza charm on it. ​But it's a safe bet that Joe Biden really appreciated US President Barack Obama's birthday message to him, which the latter tweeted on Sunday. Obama: "Joe, why are you still holding my hand?" 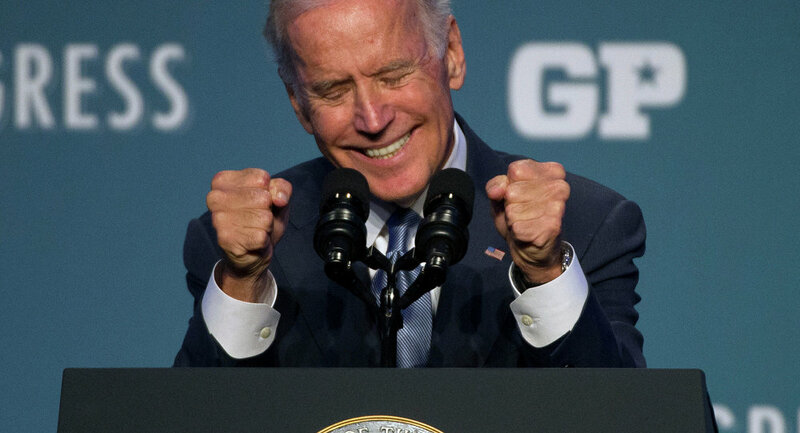 Biden: "I wanna freak Mike Pence out"
Joe: Because he bringing his own.